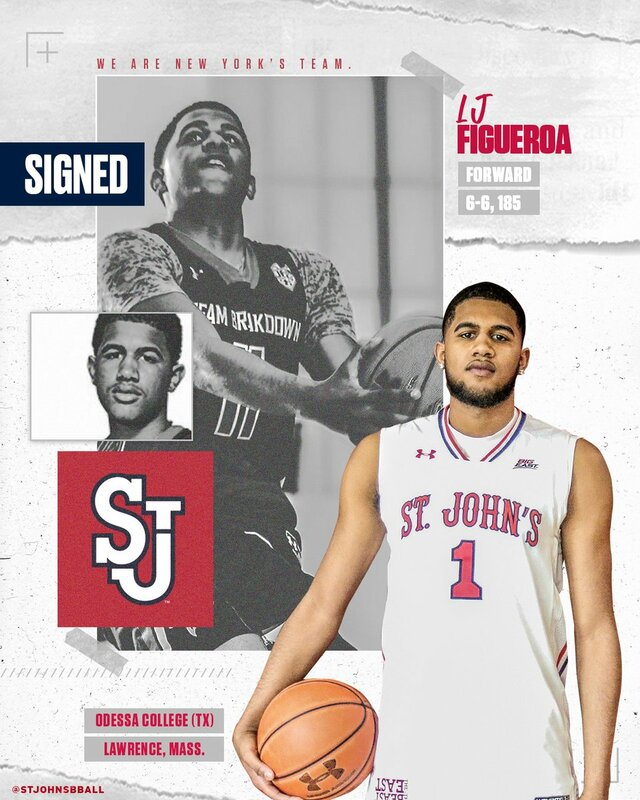 St. John’s on Saturday announced the signing of LJ Figueroa, the 6-foot-5 wing from Odessa (TX) College who was named a 2018 NJCAA Division I Men’s Basketball First Team All-American. Figueroa, who committed Friday, led the Wranglers in points (21.4), rebounds (5.5), three point field goal percentage (48.2) and three pointers made per game (3). He is immediately eligible for 2018-19 and has three seasons remaining. He joins Mississippi State transfer Eli Wright and Houston Baptist transfer David Caraher among players to commit this week. Wright and Caraher will sit the 2018-19 season per NCAA transfer rules. Robert Morris transfer Dachon Burke was also slated to visit St. John’s April 23-24. The 6-4 Burke averaged 17.6 points and 5.8 rebounds last season. Pittsburgh, Marquette and Nebraska are among those also involved. 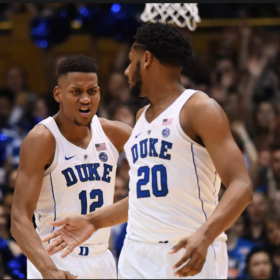 St. John’s is now at 13 scholarship players for next season with the additions of high school players Josh Roberts, Greg Williams and Marcellus Earlington. Meantime, St. John’s is targeting several Class of 2019 high school stars, including Scottie Lewis, Jalen Gaffney, Kofi Cockburn and Aidan Igiehon.